At the Buck Law Firm, we know that learning you are suffering from mesothelioma or an asbestos-related injury can be devastating. We provide dedicated legal counsel to clients throughout Georgia who have been injured by asbestos, as well as other dangerous products. Our attorneys will sit down with you in a free initial consultation to help you understand your options, so that you can make informed decisions about your medical treatment, legal representation and the well-being of yourself and your family going forward. Having committed ourselves to advocating on behalf of those who are seriously ill or injured, we understand the complexities that often arise with such cases. We will strive to educate you about the causes for your condition, the available remedies and will guide you through the legal process with care and compassion for your individual situation. It is our goal to help you obtain full compensation for your medical expenses and pain and suffering, as well as for your lost wages. When you are dealing with legal issues relating to illnesses or injuries resulting from toxic exposure, dangerous drugs or other accidents, we understand that your case is the most important thing you have going on. Our law firm’s attorneys and staff put an emphasis on providing you with quality legal representation, together with the assistance and support you need. We are dedicated not only to helping you with your legal issues, but also to your physical health and your future concerns. 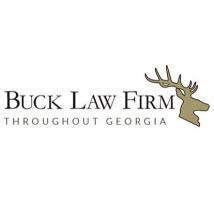 In addition to handling products liability, mesothelioma and asbestos-related injury cases, our attorneys at the Buck Law Firm are also able to assist you with other personal injury and premises liability matters. Whether you have been injured on the job, in a car or truck accident, or as a result of dangerous conditions in a building, we will work with you to ensure your rights are upheld.